Ahmed Abu Ghosh won Jordan’s first ever Olympic gold medal by winning the men’s 68-kg taekwondo competition, which is a major achievement. However, Ahmed’s victory immediately elicited Israeli claims over him, especially with the fact that the Abu Ghosh family comes from the village with the same name in Israel. Here, Ahmed was entered into Israel’s project for the erasure of Palestine and Palestinians. You see, Ahmed Abu Ghosh is a Jordanian of Palestinian origin, which is the case for some 65-70 percent of the current population in Jordan. Most Palestinians have made their way to Jordan after Israel’s expulsion of them during both the 1948 and 1967 wars, which means they are refugees per UN Resolution 194 and have the right of return. An Olympic gold for Jordan by a Palestinian refugee speaks of a triumph and the bonds that unite both Jordanians and Palestinians. 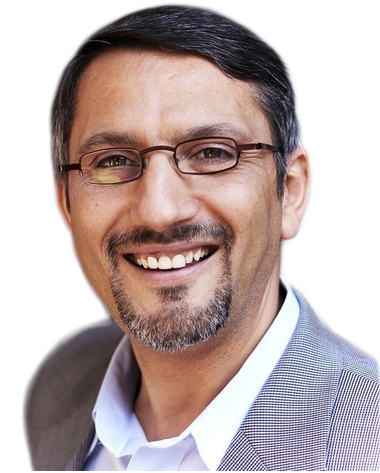 Various social media posts used the innocuous language that Ahmed’s family moved to Jordan while affirming their roots in the Jerusalem area and emphasizing that it is in today’s Israel. It was not sufficient for Zionists to let Jordanians and Palestinians rejoice at a moment of happiness and a sense of accomplishment for they insisted on inserting themselves in a story that essentially is not about Israel. Yes, I did mention above that the Palestinians in Jordan made their way to the country after the two major wars but this is just a statement of fact. Could it be that Israel’s lone medal — a bronze — in the Olympics generated a desire to rain on the Jordanian and Palestinian parade? Or would it be an attempt to chase a positive story and see if media mileage could be made out of it at a time when most of the narrative coming out in the media about Israel is highly negative and critical? Another possibility is that the refusal by Egypt’s Islam El Shehaby, the Judoka player, to shake hands with Or Sasson, the Israeli player who defeated him, caused an urge for a type of revenge among rightwing activists! After reading initial Twitter and Facebook posts, I responded with the following message: “A Palestinian wins the 1st ever Gold Medal for Jordan & Zionist want to claim a settlement inside the medal.” My Twitter and similar Facebook posts garnered considerable shares and likes, as well as a steady stream of comments expressing outrage at Zionist attempts to claim Ahmed as somehow Israeli and indirectly claim his accomplishment. The statements and posts regarding Ahmed’s family and their presence in Jordan opens up the debate on the Nakba and Palestinians refugees living in neighboring countries. The Palestinian narrative is constantly subject to erasure and contestation. 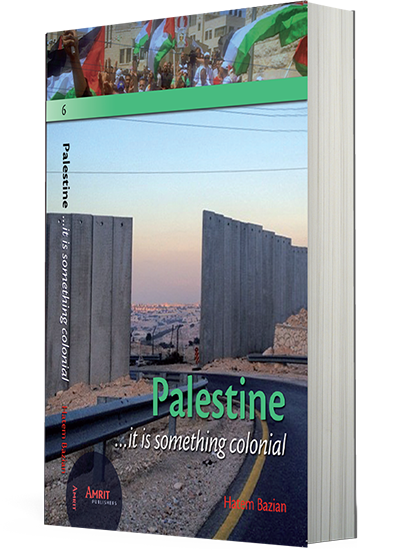 From its inception, Israel was not content with colonizing the land and expelling the people but also wanted to contest the existence of Palestine and Palestinians as a people. In the context of this erasure project, Israel’s propaganda machine is constantly at work to contest every aspect of Palestine’s history and its people. The effort is directed at affirming Israel’s theft of land by negating the existence and the right of the indigenous population, which is not a unique strategy and is present in different shades across many settler colonial projects. Let’s for a minute take the notion that Ahmed Abu Ghosh comes from the Abu Ghosh village, which is presently located in Israel. How did his family leave the village? How did 750,000 Palestinians leave their towns, cities and villages in 1948? Who is living in the homes and took the properties of those who “left” the country or “moved” to Jordan, Lebanon, Syria or Egypt? Could they come back to these private properties, which they owned and have the land deeds to prove it? Could they claim their bank deposits and how much would these be worth from 1948 and 1967? The most critical question is: Could Ahmed Abu Ghosh, all his relatives and Palestinians living in Jordan be able to come back to their villages, towns and cities? Claiming a connection to an Olympic gold medal won by a Palestinian whose family and people were forcefully expelled by Israel is akin to building a metaphorical Zionist settlement inside the medal. Pointing to the fact that the Abu Ghosh family comes from a village inside Israel is adding insult to injury when one considers the fact that some 561 Palestinian villages, towns and urban centers were completely destroyed, depopulated, and the properties and remaining homes distributed to newly arriving Zionist populations. Olympic gold medal or not, Israel has no moral or ethical ground to stand on when it comes to anything pertaining to Palestine and Palestinians. Indeed, Zionists can’t help it and are so colonially smitten that even when the story does not involve them, they feel compelled to insert themselves into it. 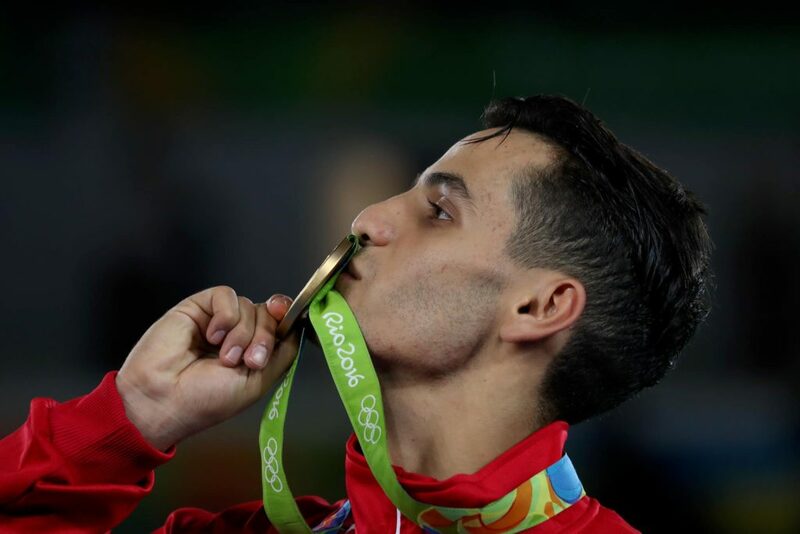 Ahmed Abu Ghosh’s gold medal is an accomplishment for Jordanians and Palestinians alike. It is an Olympic feat by a diaspora Palestinian despite the ravages of Zionism, dispossession and the constant attempt at erasure.